A lite and fast dwg viewer, browse, view, measure, print DWG, DXF, DWF files. Supports AutoCAD drawing format from R2.5 to the latest version 2013. 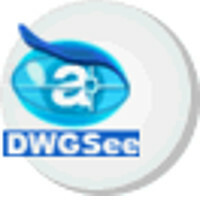 DWGSee DWG Viewer Pro version supports DWG to Image(jpg, tiff, gif ), dwg to pdf conversion, it also supports advanced markup, let you publish markup in PDF or Image format. A lite and fast dwg viewer, browse, view, measure, print DWG, DXF, DWF files. Supports AutoCAD drawing format from R2.5 to the latest version 2013.